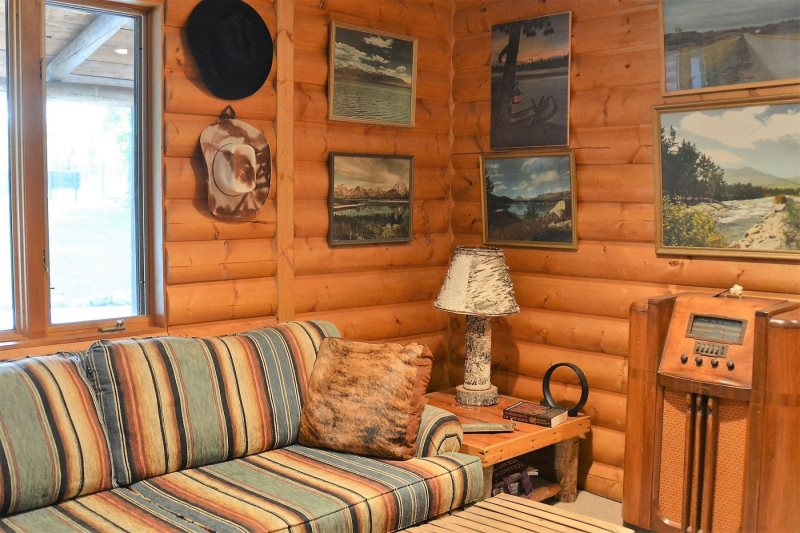 Lone Pine Lodging offers unique and authentic accommodations at its finest. 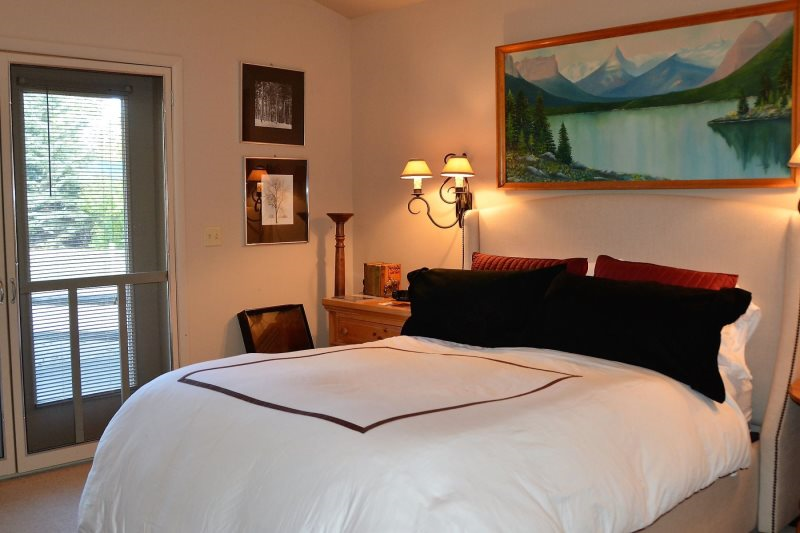 Located in the historic western town of Red Lodge, Montana; at the east end of the Beartooth Highway called by Charles Kuralt "the most beautiful roadway in America." 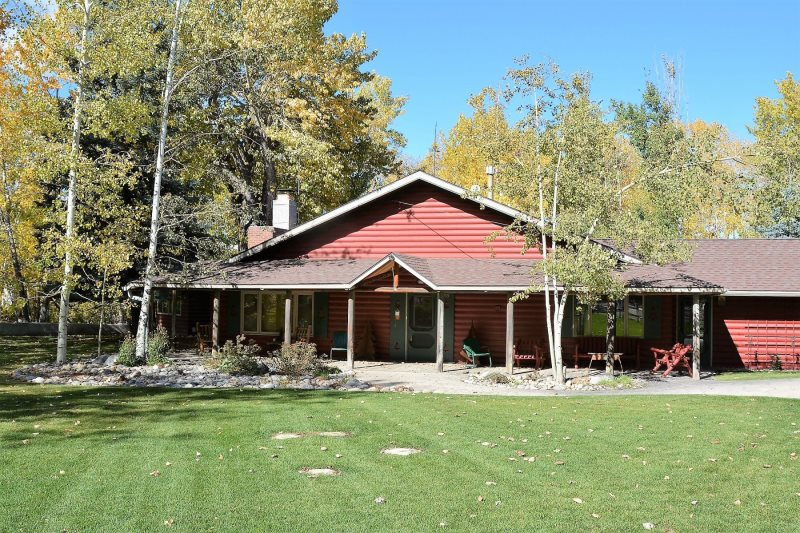 with challenging ski trails at Red Lodge Mountain ten minutes away; fly fishing in the crystal stream of Rock Creek right off your cabin deck; and the magnificent scenic beauty of the Yellowstone and Grand Teton National Parks just a short drive away. 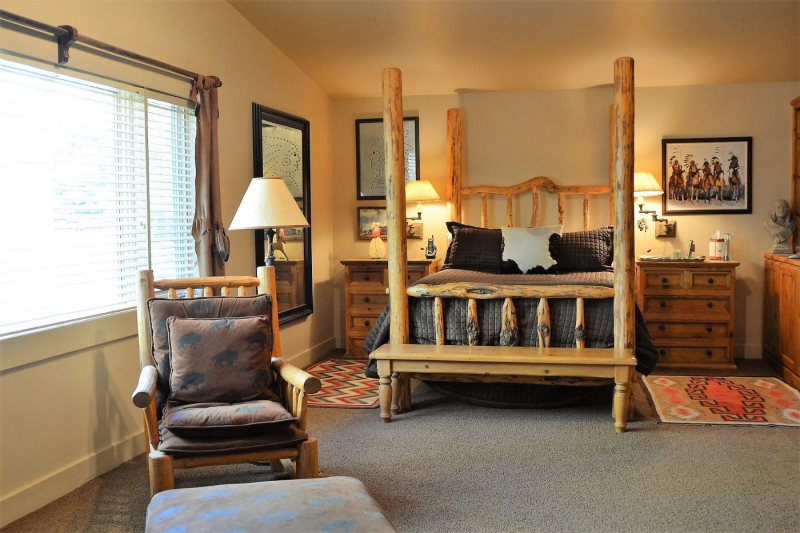 Lone Pine Lodge; featuring "the best in the West" luxurious accommodations located directly on Rock Creek. 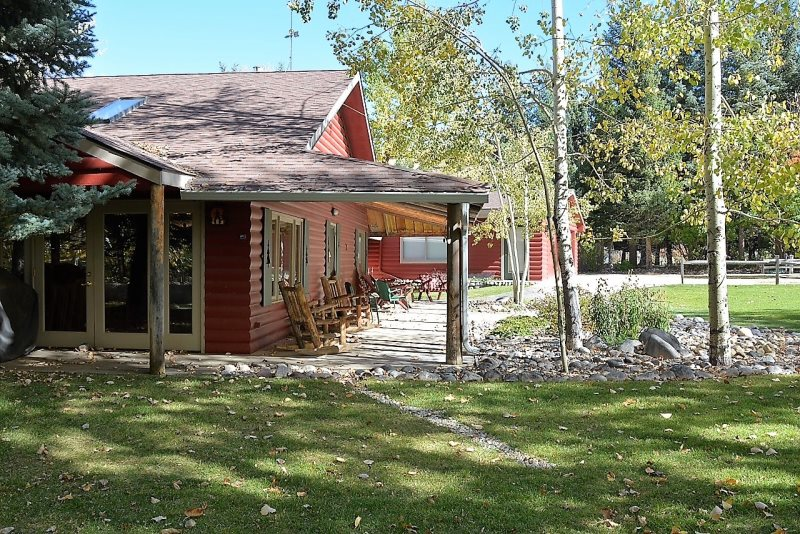 Be Lone Pine Lodge, Red Lodge, Montana lulled to sleep every night by the sound of a bubbling trout stream. 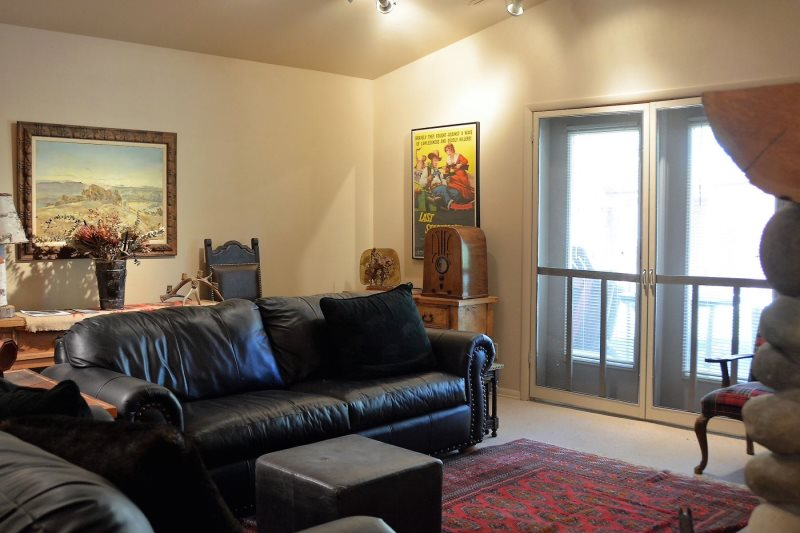 Combine that with the convenience of being a short walk to downtown Red Lodge; able to experience everything an authentic small town has to offer in shopping, dining, and entertainment. 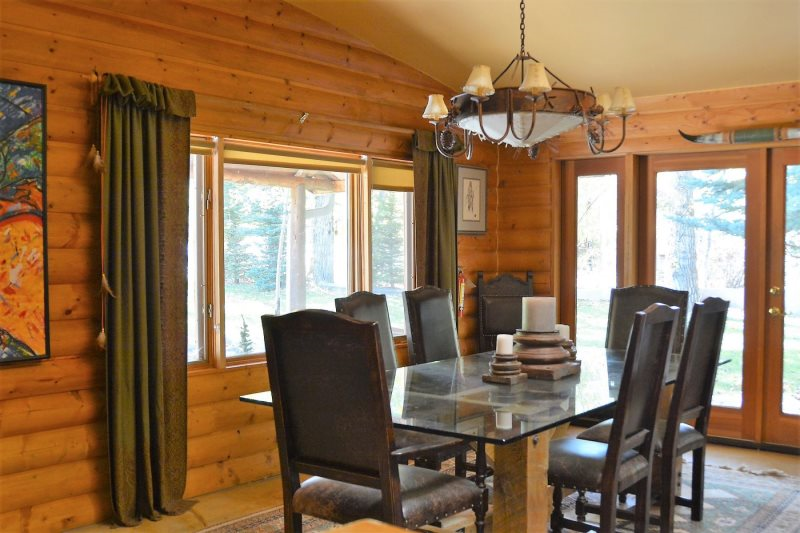 A perfect and convenient location for celebrating special occasions. 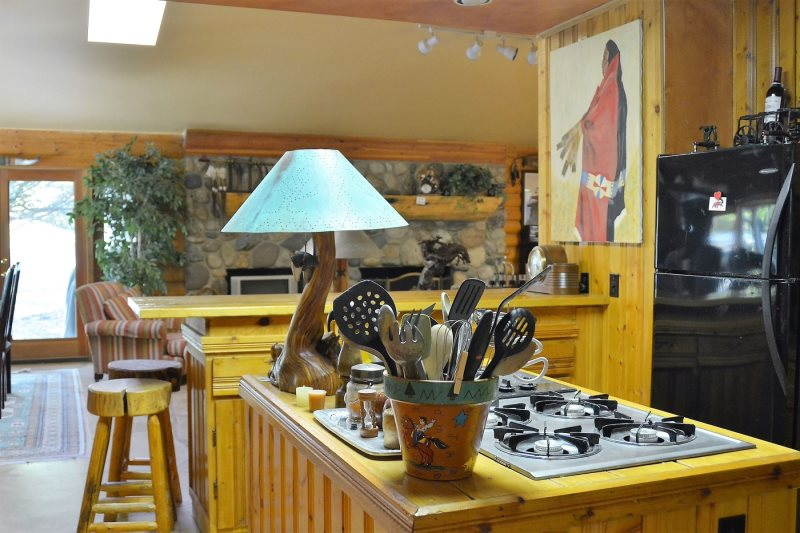 Lone Pine Lodge sleeps up to ten people with three bedrooms and three and half bathrooms. . 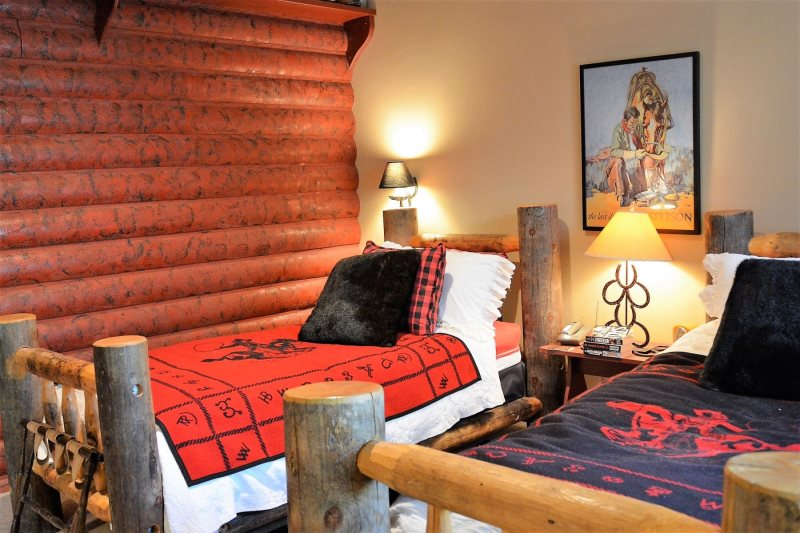 The handmade log twin beds in the Cowboy bedroom are built extra long to accommodate even the tallest cowboy or cowgirl. 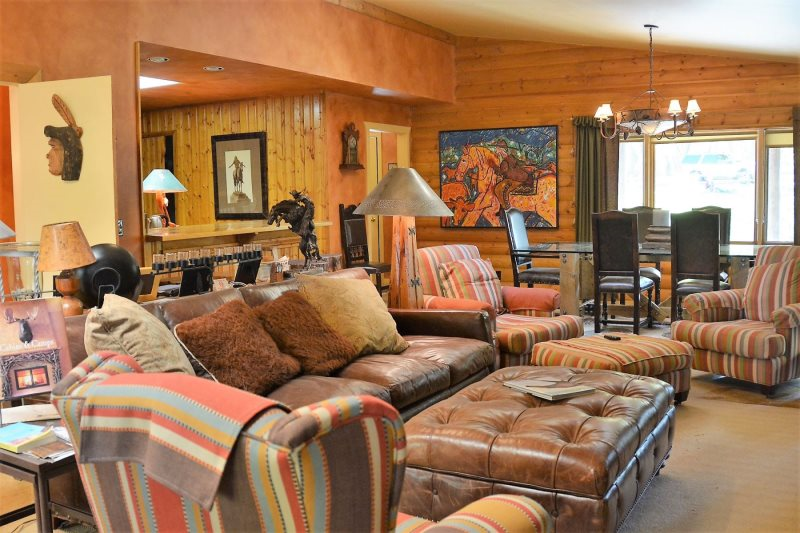 The great room showcases bronze cowboy statues, local artwork, and at one end a wonderful Ralph Lauren barn beam dining table that holds ten. 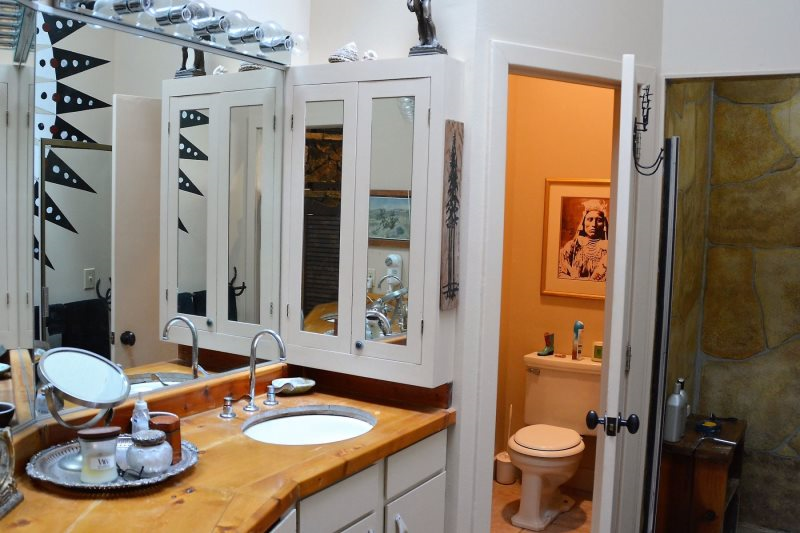 It is luxurious Western living at its best. 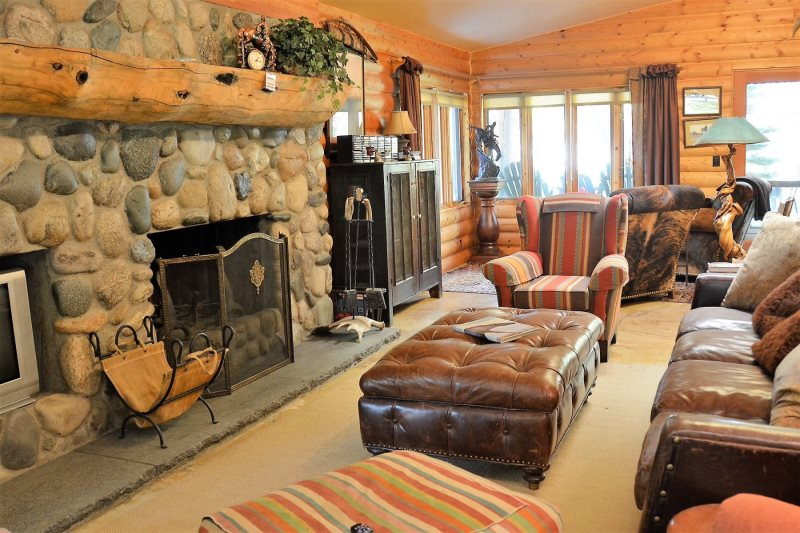 See the full descriptive and story under Lone Pine Lodge.